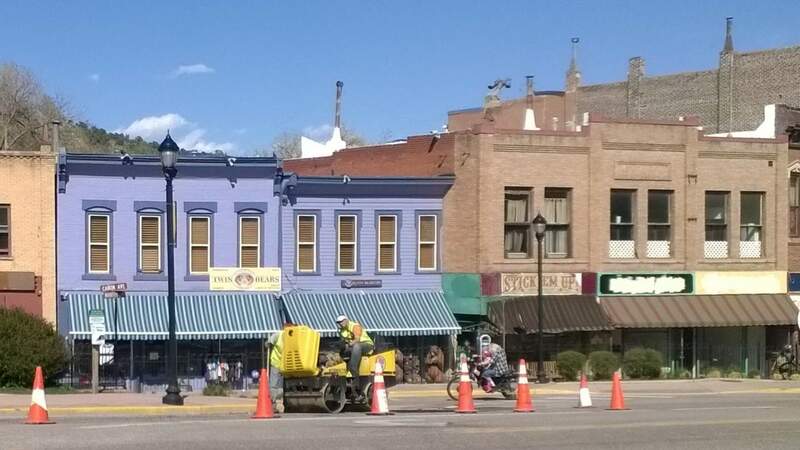 “I was thinking of a hike up the Incline,” texted my friend Lisa as we discussed my pending day trip to Colorado Springs. Lisa—whom I’ve known since 2003 back when living in California—moved from the San Francisco to Colorado a few years after I did, just a bit further south down the Front Range. How much further? About 125-150 miles, depending on whether you are driving an automobile or riding a Huffy cruiser bike like I did during one of my last visits over to her place. As it would turn out, this would be the last visit to Colorado Springs to visit Lisa because she and Jeremiah sold their house and are moving to another outdoor paradise—Bend, Oregon. 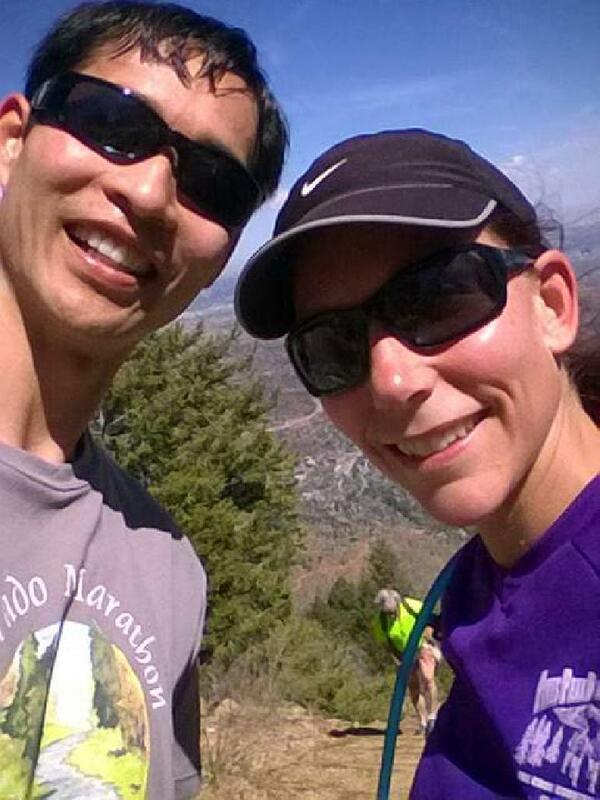 So I really was happy Lisa was interested in doing a workout up the Manitou Springs Incline, as this would be my final opportunity to finally do so with her. Lisa had been going up it up to twice a week in the past, even before it was made technically legal to do so in 2013. Its legend loomed large, including how it scaled 2,000 feet in less than one mile; that some sections have a grade of 68%; and that one of the best times up it was by Olympic speed skating champion, Apolo Ono (17:45). Wikipedia has a very informative article on the Incline, including information on some other notable times. In our case, we took our time to go up: about 50 minutes. 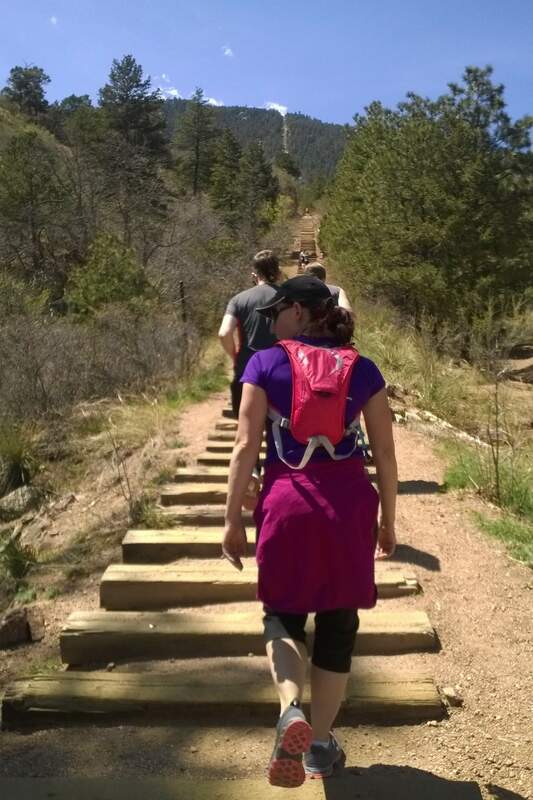 During that time we encountered many people who were panting like a canine, resting on some steps, and wondering out loud how much further it was to the top. Some of the steps required massive high-stepping. 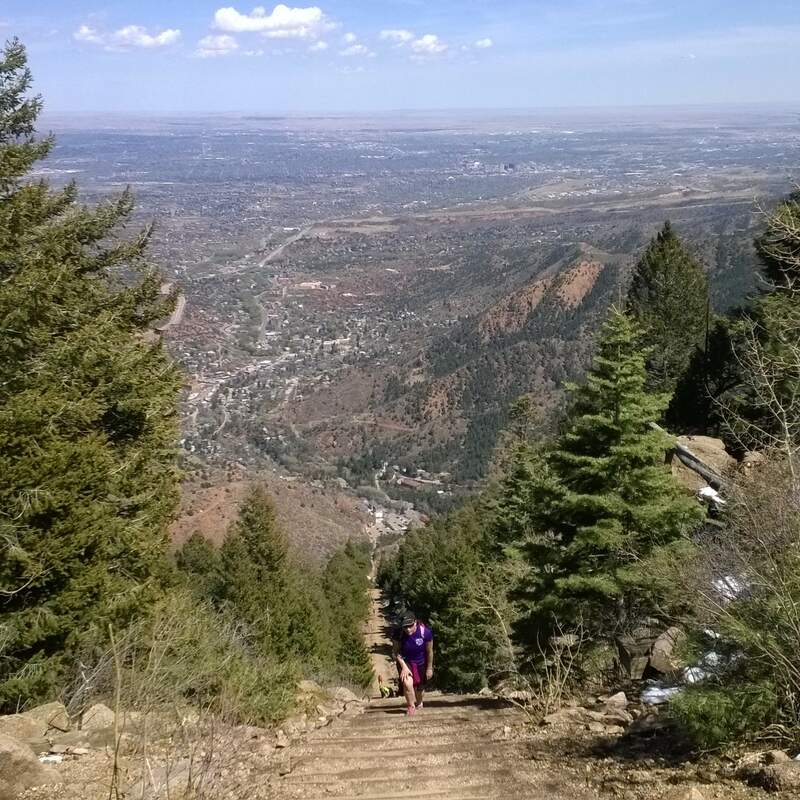 The workout was well worth it: the views of Manitou Springs and Colorado Springs below were astounding. We ended up going back down the Incline the way we came; most people take the less steep, but much longer, Barr Trail back to the parking lot below. 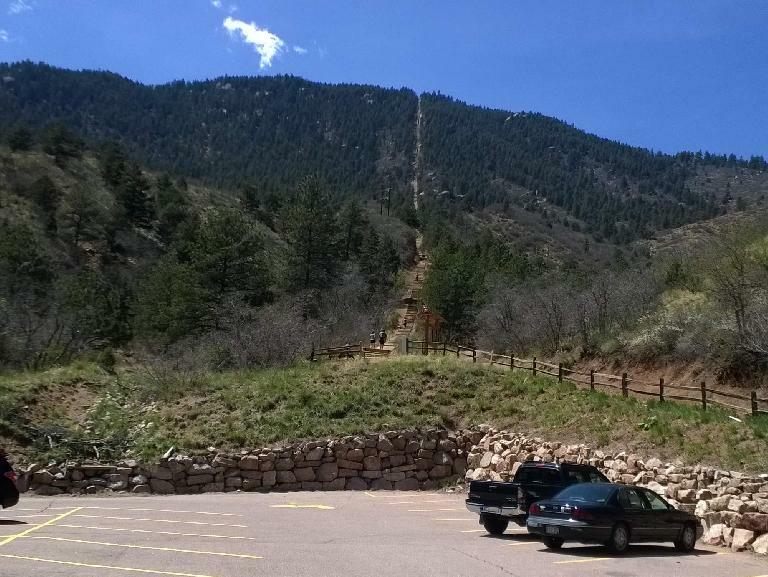 The Incline definitely got my heart rate up and my quads were sore for a couple days afterward. In Lisa’s case, it was her calves that were feeling the hurt. Which begets the question: is the Manitou Springs Incline the ultimate stair-climbing workout along the Front Range?